You can still almost see the distaste in Bertwin van Rooijen’s face. ‘The area around the station,’ says the programme manager of Via Breda, ‘looked terrible. There was a great deal of derelict land with old railway tracks and grass growing in between them. 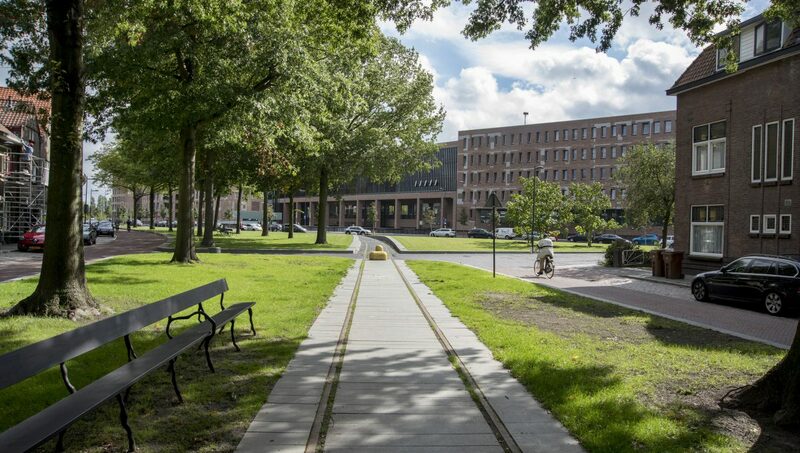 The districts to the north of the railway line, which had suffered from the odour and noise for years, were also deteriorating badly.’ We are sitting in Breda’s city hall with Van Rooijen and communications consultant Peter Jeucken. On the table is a thick book with photos and drawings of Via Breda, the programme worth about 1 billion euros that radically changed the appearance of the station area. One driving force is not enough for such a large area. The municipality therefore designated a number of ‘nodes’ that would help to improve the area. One of them was the old canning factory. The municipality bought it and only allowed tenants to move in who were somehow associated with the cultural sector. It also determined that whoever performed community tasks, such as keeping the area clean, would pay less rent. Functions for which there was no space in the old centre were designated to this area. There are many creative companies there now, for example, including a recording studio made out of straw and a small brewery. There’s a skate park, Pier15 and an urban beach, Belcrum Beach, which is run entirely by volunteers. Everything takes place based on entrepreneurship or voluntarism: subsidies do not come into play here. The area is far from being finished. Indeed, the municipality wants to build a water storage area on the grounds where the sugar factory once stood, because a great deal of water flows this way, from Belgium for example. Housing construction has not ended yet in the Havenkwartier either. Amvest intends to build another 300 apartments where three factories still stand. The area in the immediate vicinity of the station is attracting many private investors. 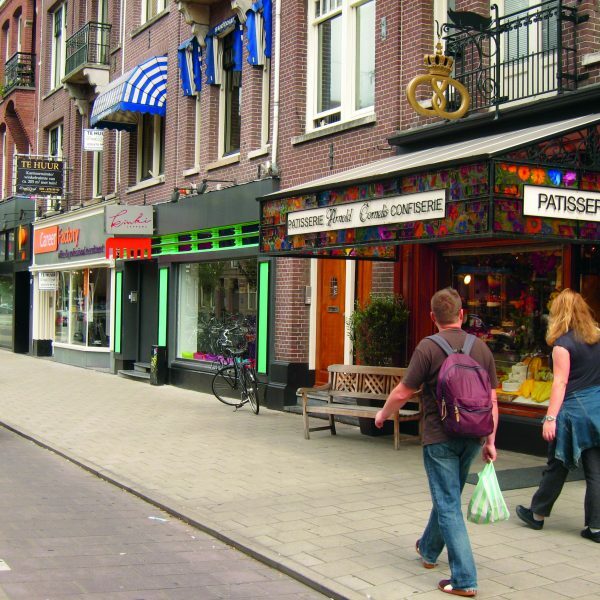 The prices per square metre here are the highest in the city and have reached the level of cities such as Amsterdam, The Hague, Rotterdam and Utrecht. Is that a good thing? Yes, both Van Rooijen and Jeucken nod their head in agreement. They point out that American companies are already establishing their headquarters here, which is bound to have a positive effect on employment. Belcrum, which not long ago was a district in decline, is now one of the most dynamic districts in the Netherlands in terms of homes sold. Referring to Belcrum Beach, real estate agents are using terms such as ‘living by a beach’ in their advertisements. There’s plenty of economic and cultural activity in other words. But the most important impact that Via Breda has had is perhaps a psychological one, according to the two men. ‘Breda has regained its pride,’ Jeucken says. 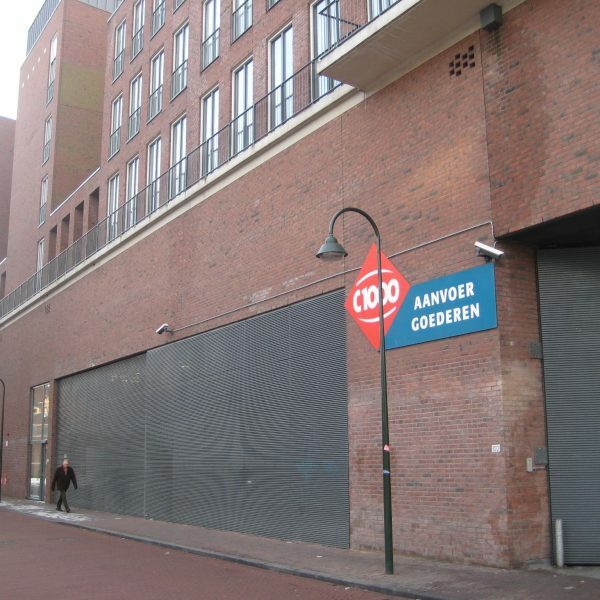 ‘Even city residents who don’t see the station’s appeal say: it has made special things happen.’ ‘From an exuberant provincial town that people left to move to Amsterdam and Rotterdam, we are becoming a pulsating city that serves a larger region and which is unifying people again,’ Van Rooijen says. 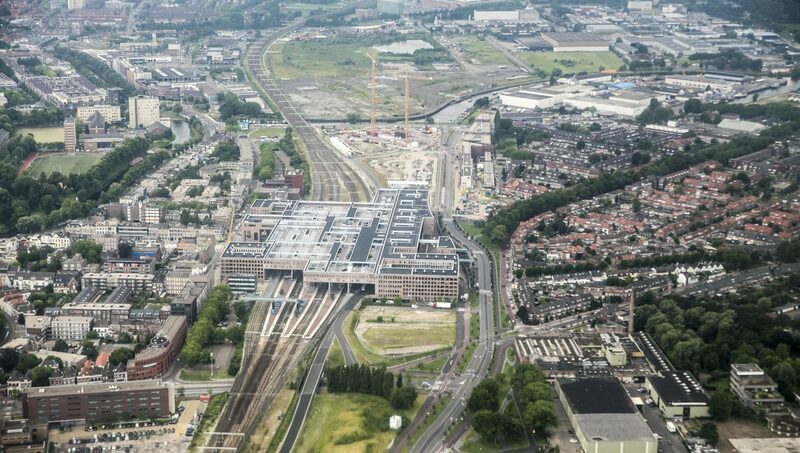 The Via Breda programme has transformed Breda’s station from a regional hub into a highquality public transport terminal on the High Speed Line. This has made Breda a pivotal point between Antwerp/Brussels and Rotterdam/Amsterdam. The programme concerned a New Key Project: the State provided additional funds for good urban integration. 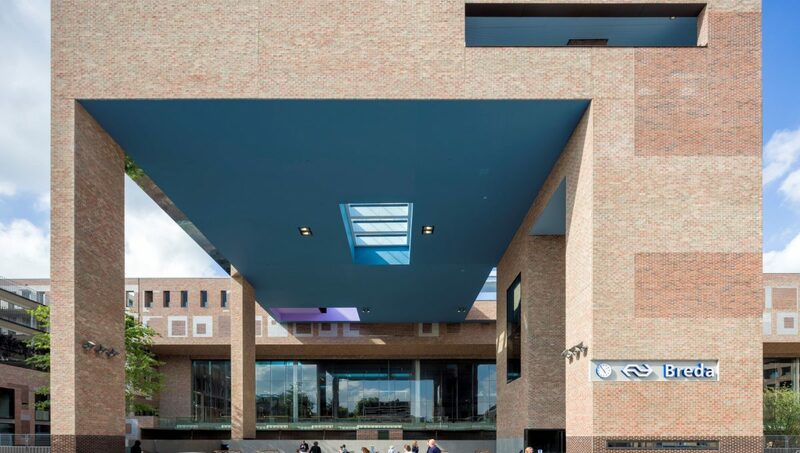 This year the station was declared the most beautiful building in the Netherlands. Apartments were built in the station area, a courthouse is being developed, and an international hotel and business centre will be located here in the future. The districts in the station’s vicinity have been addressed as well. Developments are still in full swing, particularly in the Havenkwartier. This area, about 10 hectares in size, used to accommodate large companies, such as a sugar factory and an iron foundry. Now space is being offered here for start-ups, the creative industry, recreation and residential housing. It was quite exceptional that users could go about their business free from the constraints of regulations, but also without subsidies.